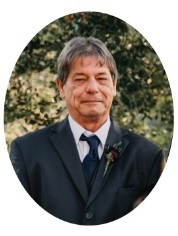 Charles (Charlie) S. Meiners, 65, of Kansas City MO passed away at home on Wednesday, March 28, 2018. Charlie was born on November 23, 1952 in Albuquerque, New Mexico, but grew up in Kansas City. Charlie married his first wife and had two children, John and Charlie. He then married Carol in 1984 and went on to have two more children, Mary and Bill. Charlie served his country as a member of the Air Force Reserve. He managed the daily operations of Meiners Sun Fresh and then went on to work many years for the Center School District. Throughout the years he was always self employed as a plumber. While working as a plumber he was always around day or night to help someone in need. Charlie was a family man and loved his time with all four children and five grandchildren. The children were raised to be honest and hard-working while having fun together as a family. Born 3rd of 13 children, Charlie selflessly cared for his siblings, including the long-term critical care of his brother Mike. Charlie was a kind hearted, modest, selfless man whose needs of others were his priority. He was a man of many talents...a carpenter, plumber, electrician, craftsman, builder, teacher and skilled fisherman. Charlie was inherently skilled in bringing a smile to hearts needing warmth and joy. Charlie was a proud, caring, kind person with a huge heart. He enjoyed attending all games and activities in which his children and grandchildren participated. He engaged his wife, siblings, children and grandchildren in the sheer fun and joy of spending time together as a family. He had a strong work ethic and was a proud father and Grandpa. He taught his children and grandchildren to fish, play cards, drive a boat and help others. Charlie “fixed” things. From a leaky pipe...a drain back-up...fish that wouldn’t bite....he “fixed” the problem. He always came up with a solution that worked. He was a bargain shopper and always loved going to a garage sale. Charlie loved sitting around the table playing poker games with friends and family as well as a blackjack enthusiast. Charlie was always proud of his children and even prouder of his grandchildren. Charlie will be missed dearly by all those blessed to be part of his life here on Earth. Charlie is preceded in death by his father John Meiners and mother Mary Ann Meiners, siblings Mary Ann Hickox, John Meiners, Cathy Meiners, Mike Meiners and Susan Meiners. Charlie is survived by wife Carol, children John and Grecia Meiners, Charlie and Sarah Meiners, Mary and Corwin Albers and Bill and Molly Meiners, grandchildren Ben, Billy, Alex, Andrew and Charlotte “Charlie” and siblings Gary Hickox, Julie and George Kaifes, Josephine and Doug Bishop, Steve Meiners, Beth and Jeff Hutchens, Amy Rennau, Robert Meiners and Jackie and Bernie Yoksh and many nieces and nephews. Services will be held on Wednesday, April 4th at Park Lawn Funeral Home. A visitation will be at 5 p.m. and a memorial service to follow at 6 p.m. In lieu of flowers please send donations to the American Diabetes Association. RIP My dear friend. You were always there. We had a lot of good times even at work.. You will always be in my thoughts and prayers. You are with the Father now and you are out of pain and very much at peace. Rest well my friend Yours in Christ. Michael.